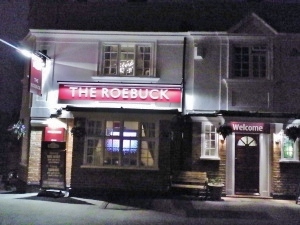 The Roebuck is tucked away at the end of one of Reading’s suburban back streets. A local drew me a map of directions to help me find it. It is a quaint, traditional pub with some real ale on tap. I asked if I could see David and he soon appeared at the bar. After I explained about the project to him I was given a three lions football T-shirt bottle opener. David then sent me to go to meet Kevin at the Shepherds House pub. Ceryn, who was working behind the bar, helpfully wrote down a list of instructions of how to get there. Before I left I drank down a pint of Greene King IPA.